Meeting our responsibilities, obligations, doing the right thing, answering emails, looking after children, our parents, our colleagues, managing mortgage payments, or finding rent, it’s easy to lose sight of what is important to you. You can lose yourself and the life you want without even realising it. Feeling lonely, angry, grief, stressed, anxious, worried, envious, confusion or despairing? No-one avoids feeling bad or unhappy at some point in life. Everyone struggles with letting go of sad feelings. Here at the Diamond Process we understand the power that pain has to transform life. Whether you are a CEO of a major organisation, own your own small business or are a stay at home caregiver of children or ailing parents, your emotions will get in the way at some point in time. At the Diamond Process we offer a range of courses that will help you to experience the life you want to live to create sparkle in your life. You can experience the Diamond Healing process either in a one-on-one individual session or in group healing sessions with Lucille or David. It’s great having a sense of well-being that comes from knowing what you are all about (what you stand for). Imagine being able to change what you are feeling when you are down. No need to defend your choices or fear what anyone else says or thinks. Living the way you want to because you are comfortable in your own skin. That’s what living your best life is all about- it’s based in the joy of being you. 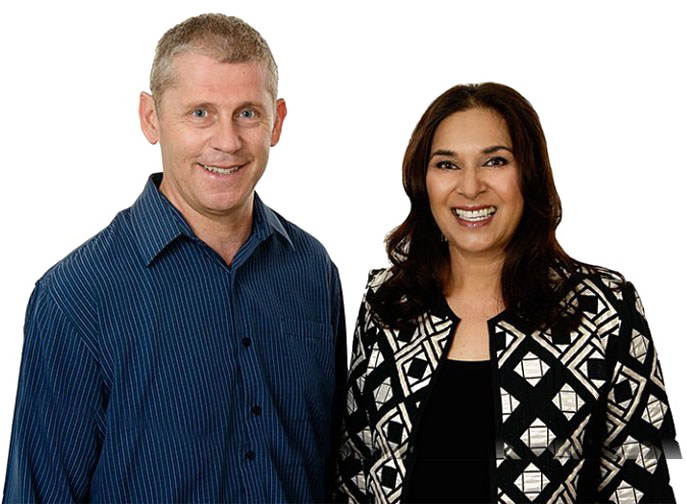 Together Lucille and David are committed to creating a fundamental shift in the approach to emotional and spiritual well-being. Lucille is an intuitive healing facilitator who for over a decade has worked successfully with people from all walks of life, including business executives, artists, spiritual teachers, coaches and many more. David is a gifted hands on healer, remote healer, co-creator of the Matariki Essences and facilitator of The Diamond Process. The essential everyday Toolkit for your journey to self-awareness. Helping you to give voice to the boundaries of your inner self that are ready to be expressed and to be seen. Do you wish to address the symptoms or the cause of the emotional discomfort in your life?,If you are ready to identify and release the cause, so you can move forward freely in your life, the Diamond Card book set is perfect for you. 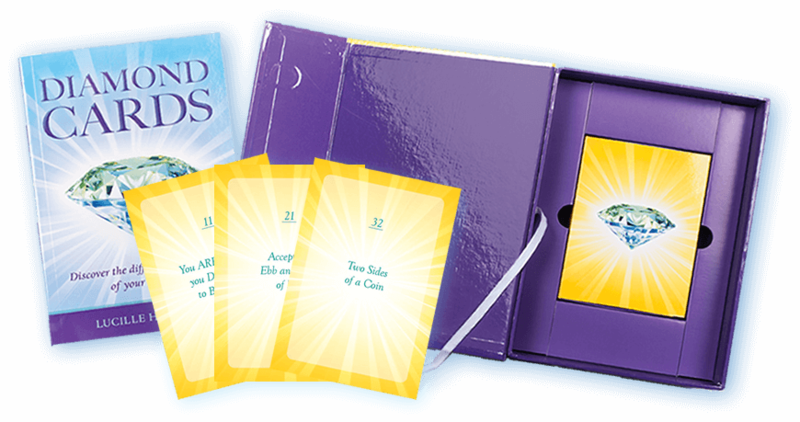 The Diamond Card book set presents an incredibly valuable, effective and unique healing process, unlike any other product offering of this type I have seen. 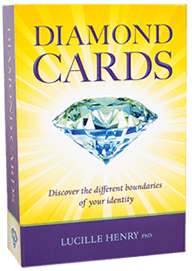 I have been using the Diamond Cards on a regular basis to give me insights into my daily life. I would highly recommend as a tool for anyone’s tool box, whether you are a healer or a counsellor, or for your own personal use. Jan Stein Beyond Health Facilitator Informational Field Medicine. I love using your Diamond Cards Lucille. When I open the book it’s like it has been written specifically for me; totally identifying right then and there with me and my journey. I make sure to really linger on the message and interpretation, and return I derive genuine comfort and clarity from the cards. Thanks so much for sharing your wonderful gift. Audio Diamonds are live recordings of the Tuning In to Higher Levels of Consciousness meditation/healing groups held monthly in Auckland. Discover the wonderful world of energy. 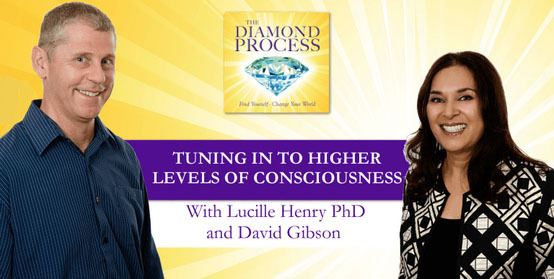 David and Lucille will share weekly Diamond tips and guidance in short videos to help you to tap into the centred power of being you. These weekly videos are free.